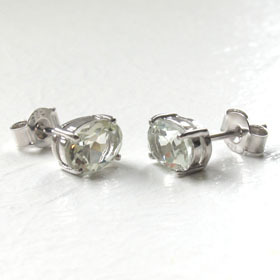 Green amethyst stud and droplet earrings. 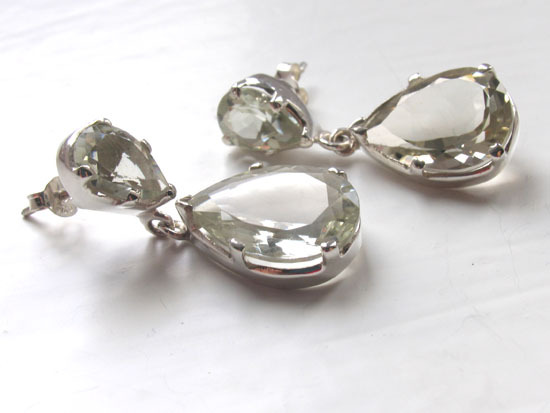 These exquisite earrings have large faceted green amethysts claw set in sterling silver. Put them in your ears and just say WOW! 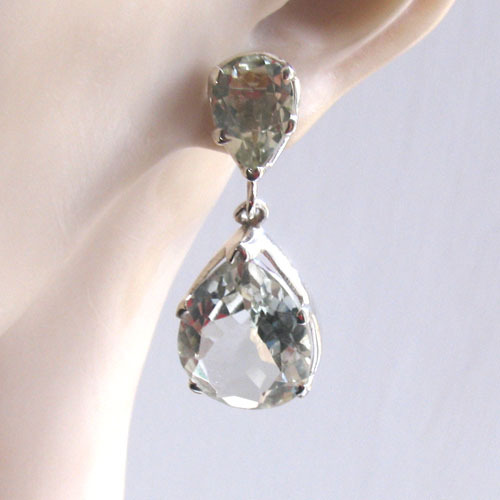 The top green amethyst gemstone sits against the earlobe as a stud with a post and butterfly fastener. 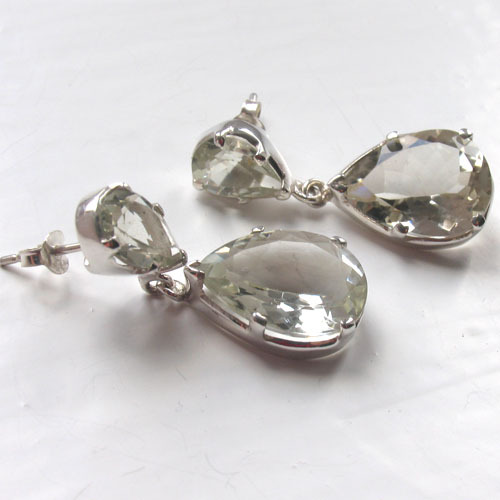 The large green amethyst pear drop dangles from this and the gorgeous delicate sage green colour sparkles brilliantly as the stone dances in the light. 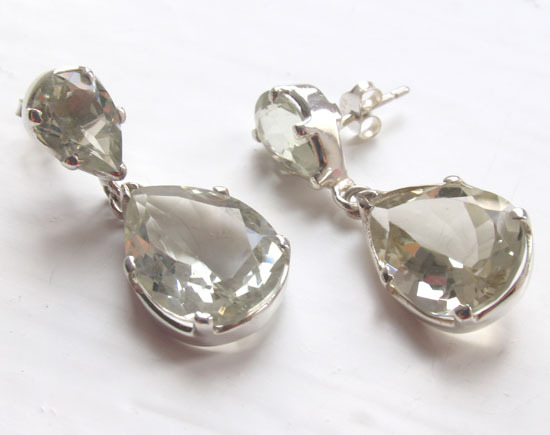 These are superb green amethyst earrings.